Hyundai has already introduced the next-generation fluidic Hyundai i20 in India and is working on the next-gen Hyundai i10 hatchback now. Hyundai will not be developing the car alone on this project as it is jointly working with Turkey’s Kibar Holding. Together this duo will be investing an enormous figure of 600+ million U.S. dollars to upgrade their production facility in Turkey, increasing its capacity to more than 2,00,000 units per annum. The Fluidic i20 is already being manufactured at this facility and the new i10, codenamed BA, will also come out of the same production line. The production will begin by the last quarter of 2013 and the car is expected to make its way to Indian market followed by its official global launch. Gladly the new investment for the plant upgrade will generate 2400 new jobs in the supplier circuit and 750 new jobs at the very facility. The production capacity will be increased in bits and will gradually attain the 2 lakh unit mark over a time span of 18 months. Talking about the looks of the car, the new 2012 Hyundai i10 Fluidic will feature the Fluidic sculpture and will resemble the Hyundai i30 to some extent. 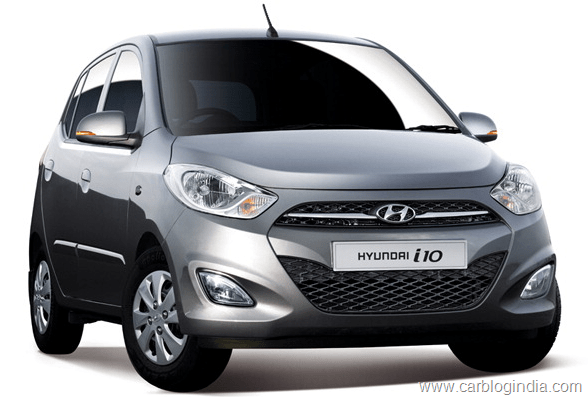 More than anything else, it will be 1.1 litre CRDI diesel engine that we will be awaiting along with the facelift, so the much awaited Hyundai i10 Diesel may finally debut in 2013. The engine has already been introduced on the i20 in markets like UK and Europe and is known for its class leading fuel efficiency and lowest CO2 emissions. Beside the yet-to-arrive i10 and new diesel engine, it is also being said that Hyundai is also working on a 800 CC, 3 cylinder MPFI petrol engine. Whether the engine will come with the i10 or the much spotted Kia Picanto, is still a mystery. 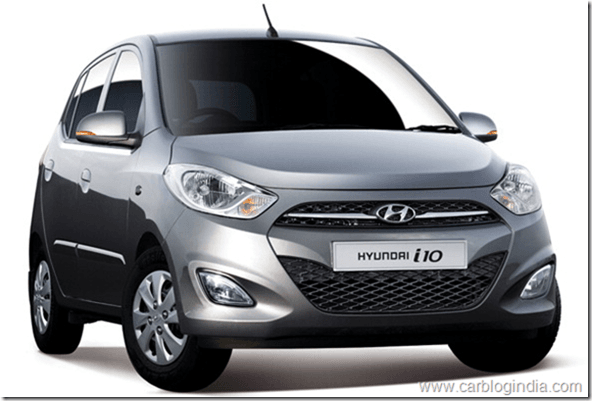 Talking of Hyundai i10 sales in India, Hyundai India is facing the heat of high petrol prices and since there is no diesel model of the i10 on sale in India, Hyundai has even announced special programs like Petrol price lock program for Hyundai car buyers in India. New 2012 Hyundai i20 Fluidic on the other hand is doing good in India with both petrol and diesel engine options and a lot of trim levels to choose from. We expect the 2012 Hyundai i10 Fluidic diesel will make the sales charts of Hyundai India move steeply up as Hyundai small cars are already quite popular and a fuel efficient diesel engine in Hyundai i10 can work as a trump card for Hyundai India in the small diesel car segment which has relatively small competition. Maruti Suzuki is also in the race to develop a small diesel engine to power Wagon R and smaller cars to boost its gradually declining small car sales in India.